There is something that little bit extra special about a winter getaway. 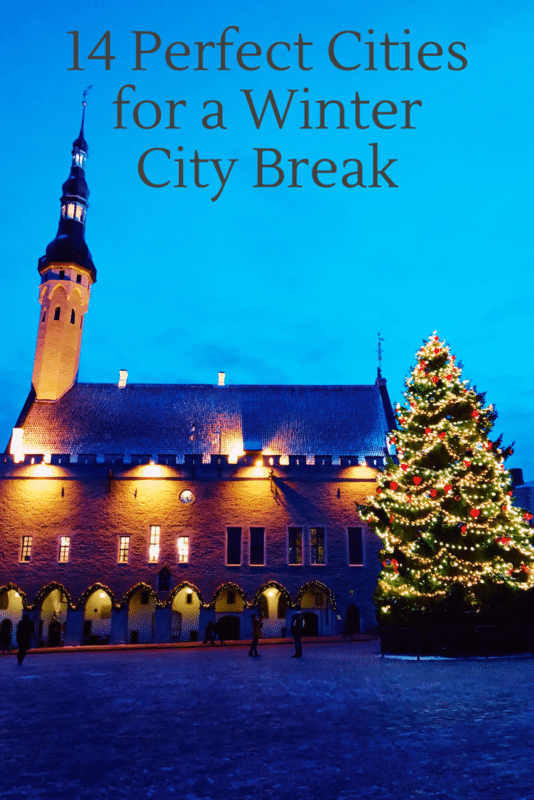 When the summer holidays are over, dark nights are creeping in, and it feels like there’s a bleak winter ahead booking a winter city break can be the perfect thing to combat the blues and give you something to look forward to. Over the past few years I’ve really enjoyed the cities I’ve visit between October – March, and there are so many to choose from with a lot to offer. Here I take a look at some of my favourites to hopefully inspire your winter getaway, but there’s also a few that are firmly on my bucket list too. For those, I’ve gathered some help and suggestions from other travel bloggers, who have been so kind as to write up a section each and share their photos on some of the places I’ve not yet been to. What to see: A city so easy to explore on foot, or as the locals do by bicycle, there’s so much to see but all pretty compact. City Hall stands next to the famous Hans Christian Anderson statue and museum, and isn’t far away from the Danish National Museum. Christiansborg Palace and the riding grounds are both impressive, as is the Royal Winter residence at Amalienborg, complete with palace guards. Further out of the city centre go on a quest to find the famous mermaid statue, voted the second most underwhelming tourist attraction in the world. What to do: If wandering among the tourist landmarks isn’t enough, venture up the Rundetaarn, or round tower for 360 degree views over the city. 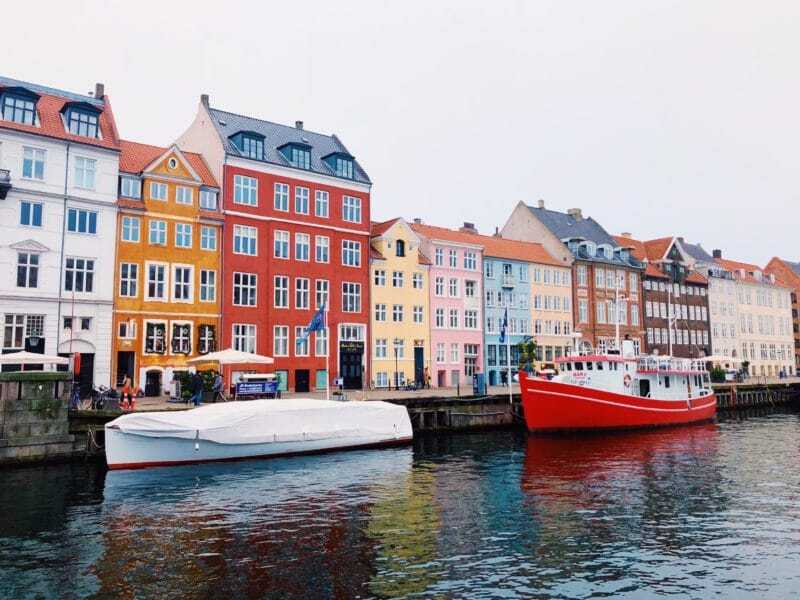 Head to Nyhavn, the most popular spot in Copenhagen to see the pretty colourful houses, or perhaps take a boat tour. What you shouldn’t do though is miss Tivoli, the most incredibly quaint theme park and gardens that changes with the seasons. So far I’ve only experienced it during the summer season, but I’ve heard its magical in winter with transformations for both Halloween and Christmas. Where to eat and drink: Research your preferences before you go because there are so many cool places. I’ve enjoyed pizzas at both Mother and Neighbourhood, and a more top end dinner at Nimb in Tivoli. There are a lot of healthy options, including brunch at the Union Kitchen where you’ll get a surprise if you order a cappuccino, and there are any number of cafes and coffee houses where you can enjoy a Danish pastry. For a huge range of choice for all meals head to the Tivoli food hall. 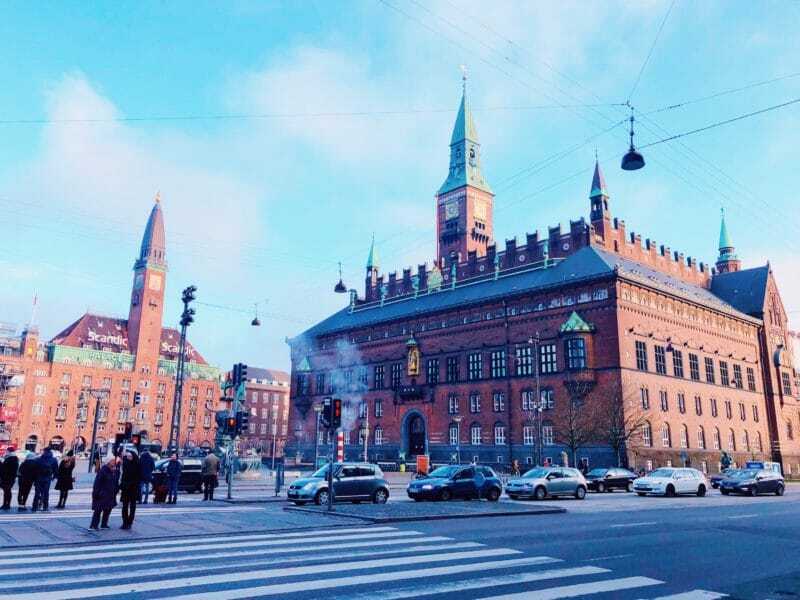 Read more on Copenhagen and seeing all the tourist sights. What to see: The most iconic landmark in Cologne is of course the Kolner Dom or Cologne Cathedral, that towers over the city. It’s free to enter the main cathedral, but for 4 euros and a nail biting climb you can reach the top of one of the towers for views over the city. The old town with it’s beautiful coloured buildings shouldn’t be missed, and neither should the view back of the skyline and sunset from the far side of the famous Hohenzollern Bridge. What to do: Explore the cobbled streets of the old town, take a river cruise along the Rhine and add a love lock to the Hohenzollern Bridge. And of course in the run up to Christmas, Cologne has one of the most famous Christmas markets in Europe, that covers the entire square below the cathedral. 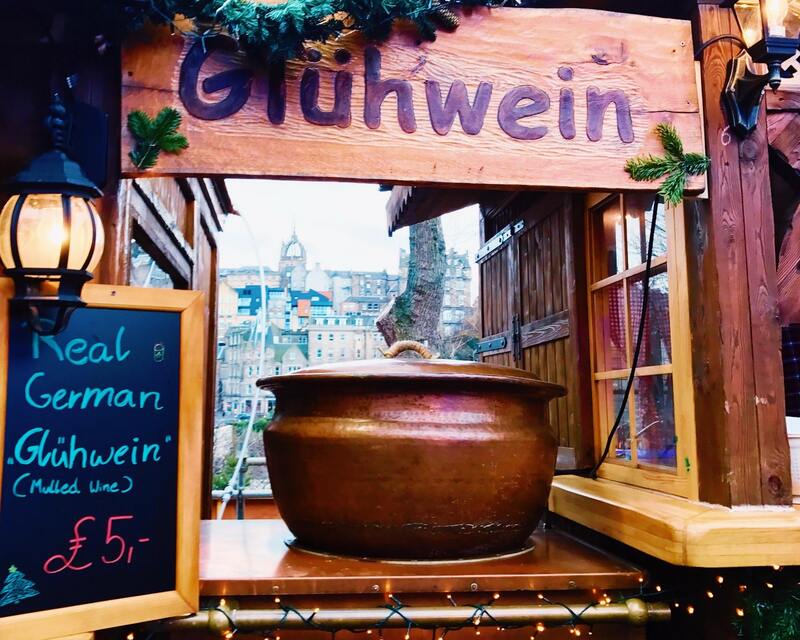 If you’re looking for a Christmas market trip then surely this one has to be high up on the list. 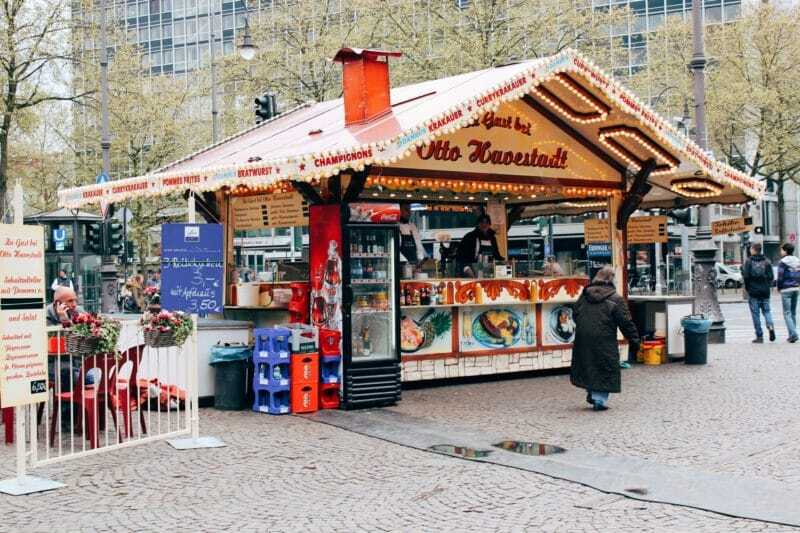 Where to eat and drink: At Christmas, eat from the Christmas market of course taking advantage of all the street food on offer. Sample traditional German pretzels, sausage and pastries from any of the cafes and bakeries that line the streets, or for a sit down meal washed down with locally brewed Kolsch head to any of the beer houses in the Old Town. My favourite is Bierhaus en der Salzgasse, where they tally up your beers on your beer mat, and upstairs serve all manner of German dishes. Another very popular beer hall is Fruh, which also serves Kolsch and German dishes by the plenty. Read more on Cologne including itineraries, the beer house and what not to miss. 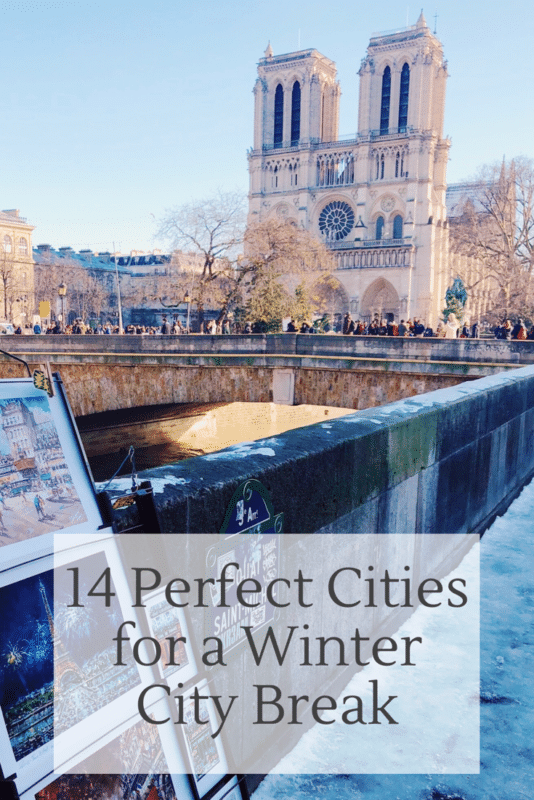 What to see: Maybe one of the most wintery destinations on this list, Oslo is the coldest place I’ve ever been during the winter months. I sailed in through the Norwegian fjords which were breathtaking, with snow covered hills dotted with chalets and log cabins. 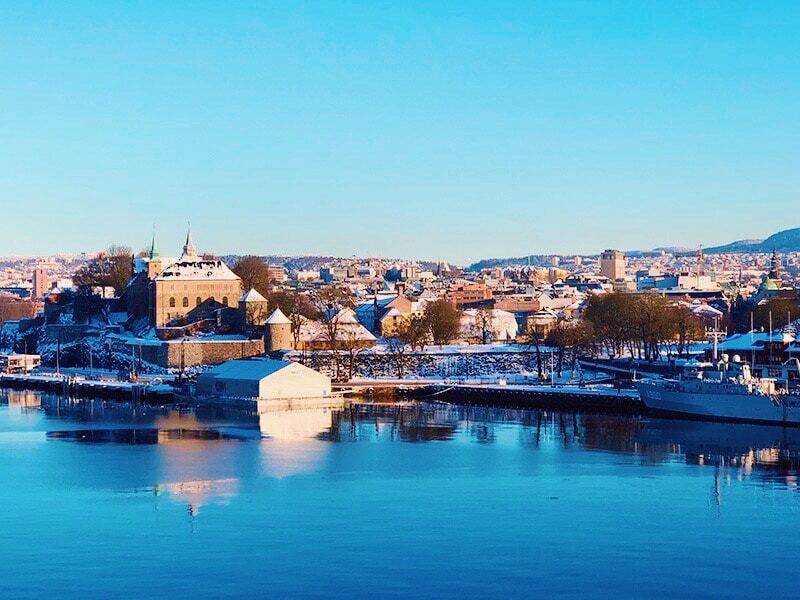 The Opera House is one of the most recognisable landmarks in the harbour, and nearby you’ll also find Akershus Fortress, that has been used over the years as a royal residence, a prison and government offices. In the city centre you can also find the Royal Palace, although during winter it is closed for public entry. What to do: Join in some real winter fun such as sledging, skiing, snowboarding and ice skating. Get the metro alongside the locals to Korketrekkeren, the famous toboggan run, or the iconic Holmenkollen Ski Jump if you’re brave. It does offer incredible views of the city even if you aren’t daring enough to ski, and I’m told the cafe up there does amazing hot chocolate. 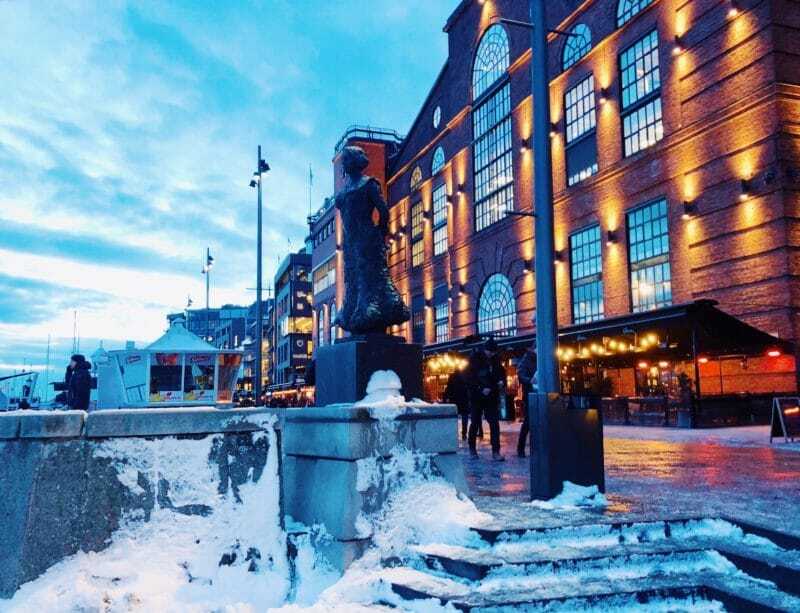 If winter sports aren’t your thing, visit the Vigeland Sculpture park, or one of the many museums in the city, including the Viking Ship museum. Where to eat and drink: I’ve only ate along the harbour, where I had the best burger I’ve ever had at a place called Døgnvill. For traditional Norwegian meals head to a place called Kaffistova, or join the locals for a beer and some seasonal food with a changing menu at Olympen. One thing is for sure though, Oslo is one of the most expensive places in the world, and food and drinks will cost you a fortune. 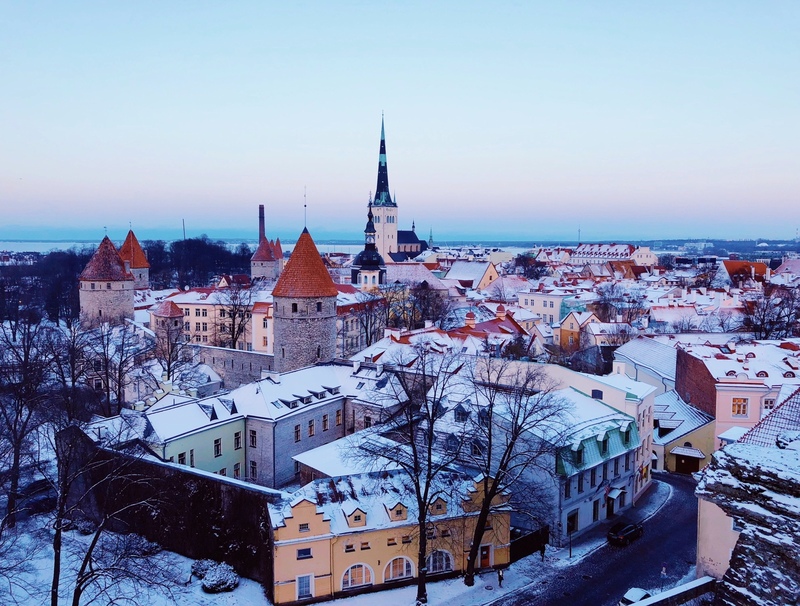 What to see: Tallinn Old town, the most beautiful and medieval old town I’ve ever come across, and it’s cobbled streets and main square are flanked by rows of beautiful pastel coloured buildings. Wandering the streets will keep you entertained for hours, but don’t miss the many viewing points that can be found throughout the city and it’s walls. These viewing platforms and public spaces give incredible views across Tallinn, and each have their own quirky feel to them. What to do: In December visit the Christmas market that surrounds the giant Christmas tree in the main square, during other months take the city tourist train for a more relaxed way to explore the city, visit the incredible St Alexander Nevsky Cathedral, the Russian Orthodox church sat at the top of the hill, or pay a visit to the oldest working pharmacy in Europe – Raeapteek. 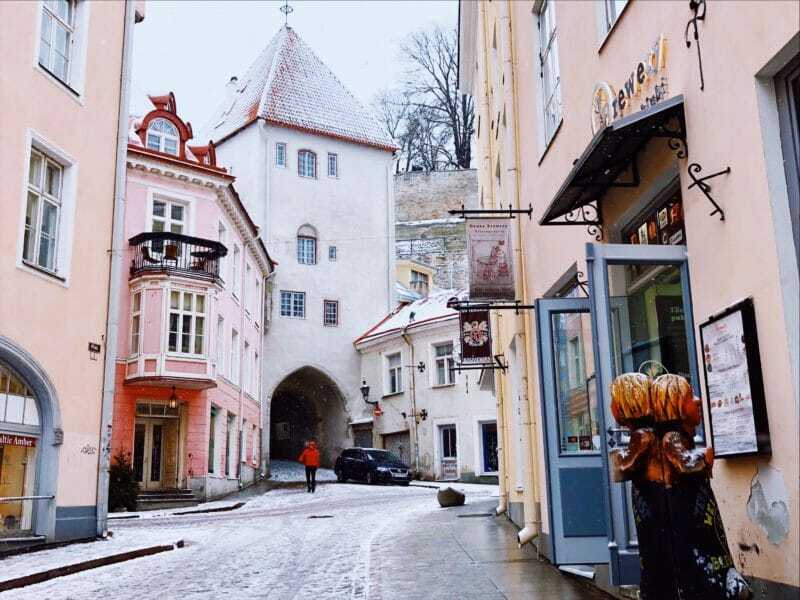 Here’s a more detailed post on how to make a winter visit to Tallinn like a fairytale. Where to eat and drink: Try traditional Estonian dishes at Kuldse Notsu Korts (Golden Piglet Inn), where you’ll find a very meat based menu. Also in the Old Town the Italian Controvento was my favourite, and is down the famous St Katherine’s Passage which is totally adorable. At Olde Hansa, you’ll enjoy a tankard of beer at the most medieval looking pub you can find, and just outside the Old Town, at Lounge 24 on the rooftop of the Radisson you can enjoy a cocktail with a view. Read more on Tallinn, Estonia. What to see: Famous landmarks such as Edinburgh Castle can be visited year round, as can Holyrood Palace which is the Queen’s official Royal residence in Scotland, located at the end of the Royal Mile. It was most famously home to Mary Queen of Scots, and the private apartments can be seen as part of a tour. The Dugald Stewart Monument is the UNESCO Heritage site at the top of Calton Hill, which also offers panoramic views of the city below. What to do: Shopping in Edinburgh is pretty good, either along George Street, or at Harvey Nichols and the surrounding area. The historical Grassmarket area in the old town has some great shopping too, or just take in the colourful iconic street itself. 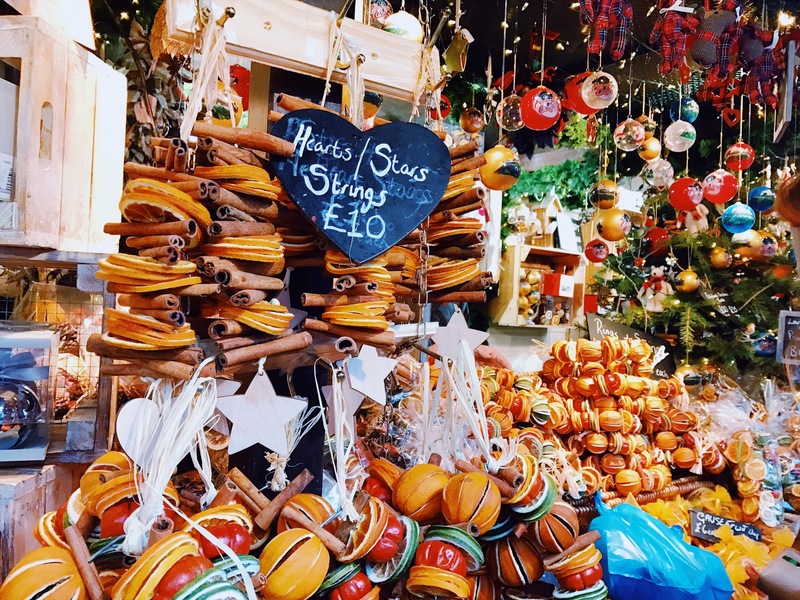 Visit the enormous Christmas market on Princes Street in November and December, and join in the 3 day celebrations of Hogmany at New Year. Where to eat and drink: If you’re visiting at Christmas the market has so many street food options, get a traditional Scottish breakfast at any of the famous hotels in the centre, and enjoy a pint at The Scotsman. For some classy cocktails I would recommend Copper Blossom just off George Street, and for a G&T and incredible steak you can’t beat Rabble. If you’re in Edinburgh for the Six Nations in February or Match the Three Sisters Pub has a great outdoor sport area and atmosphere to match. 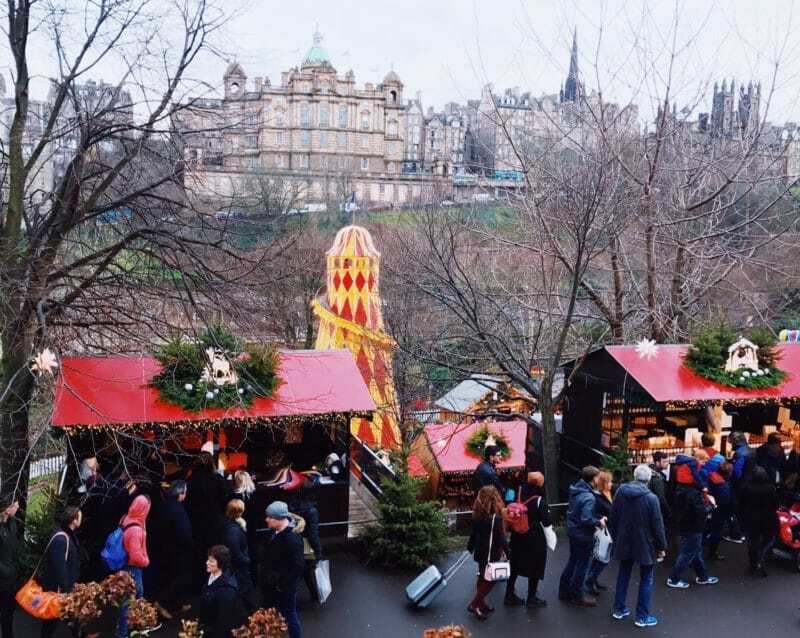 Read about Edinburgh and the Christmas market. 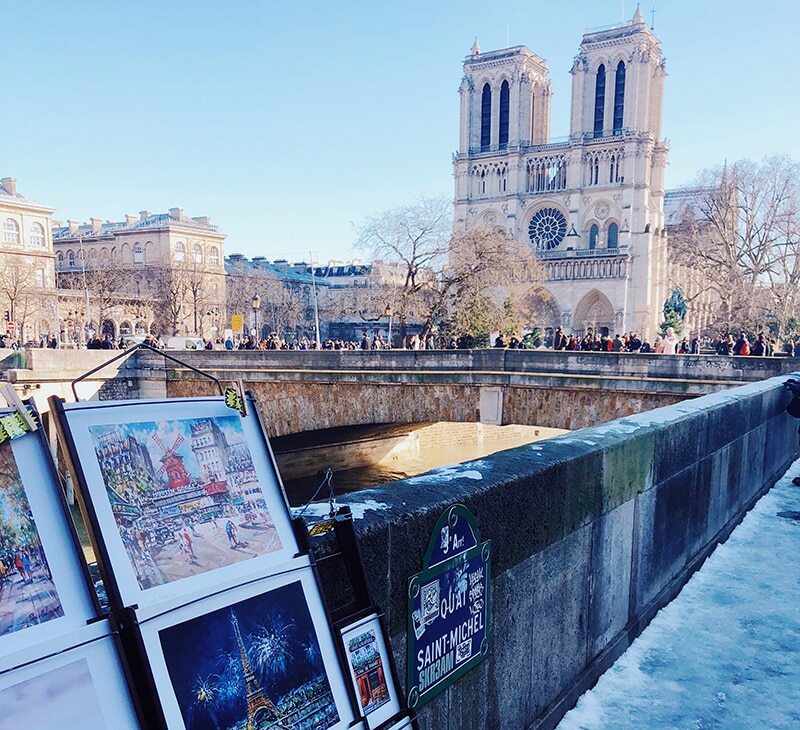 What to see: My favourite city in the world regardless of season, and all the main tourist sights of Paris can be enjoyed in winter, just wrap up warm. Go up to Montmartre and Sacre Couer on a Sunday morning, where you’ll see the bustling square come to life with incredibly talented street artists and musicians. 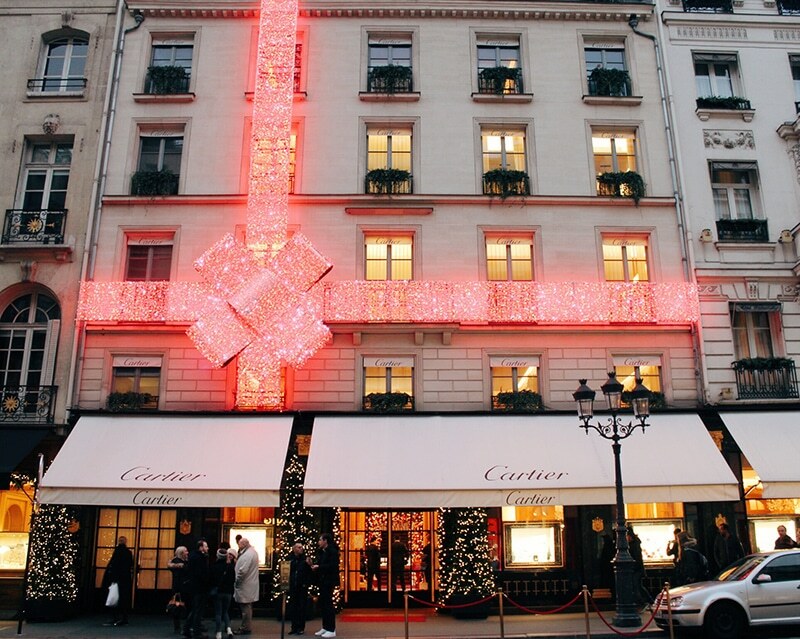 Wander up the Champs Elysees at night, where the Christmas market and shop displays light up against the dark sky. What to do: Hop on the Batobus for a great way to get from one famous landmark to the next, including the Louvre and Musee D’Orsay, Notre Dame and the Eiffel Tower. You might even be lucky enough to see them in the snow. For a more relaxing hour or two wander through the Tuileries gardens and enjoy the seasonal colours and fountains. 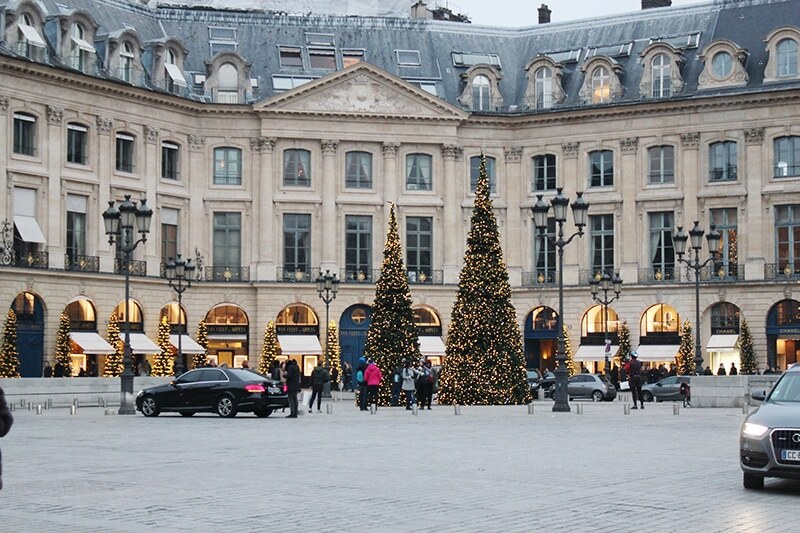 Fashion lovers could follow the trail of Coco Chanel around Rue Cambon and Place Vendome. Where to eat and drink: The options are endless, but some of my favourites include a croissant for breakfast at any cafe, but particularly in Village Royale just off Rue de la Madeleine, enjoy a coffee at the cafe on the top of Galeries Lafayette, or a hot chocolate from Angelina’s or Laduree. For lunch try Ralph’s Restaurant, part of the Ralph Lauren shop in the PSG neighbourhood. 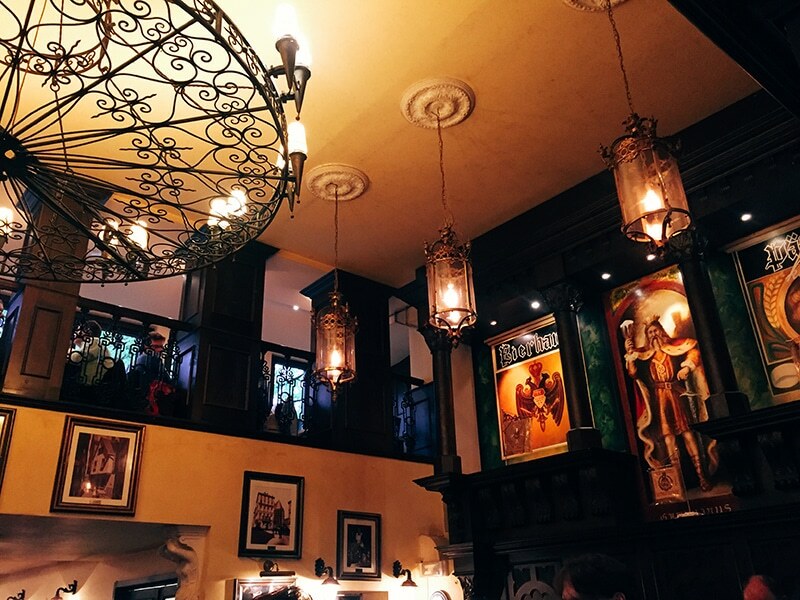 For an upscale dinner head to Cafe de la Paix by the Palais Garnier, or for a traditionally French family run restaurant I can’t recommend Flottes enough. Read a lot more on Paris, including restaurants, visiting in different seasons, itineraries and things to do. What to see: Everything! A walk all the way up 5th Avenue will take you past the Empire State Building, the Flatiron District, Grand Central Station and the NY Public Library. 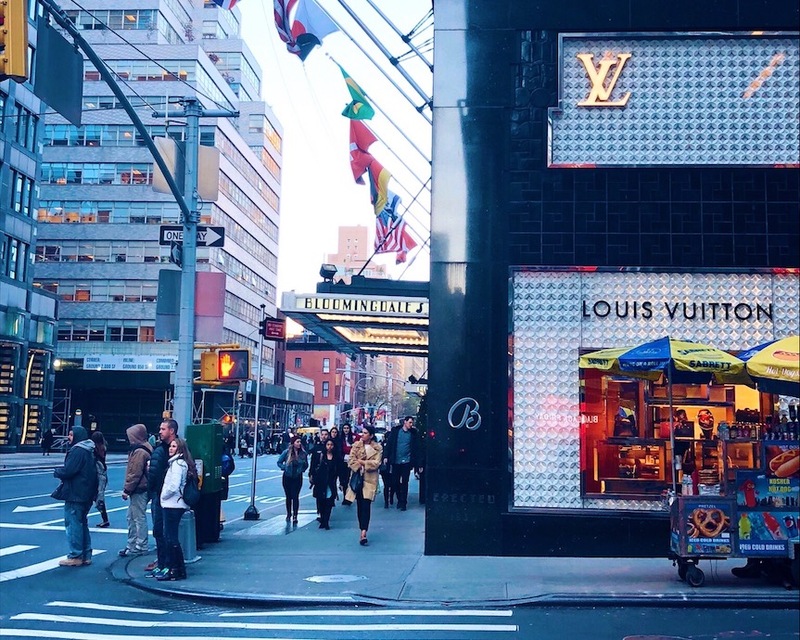 See a show from the hundreds on offer along Broadway, head down to Wall Street to see the Charging Bull and Defiant Girl Statues, and take the Staten Island ferry to sail past the Statue of Liberty. While all the cliche tourist traps are always heaving with people you don’t want to miss them, even Times Square, and the Brooklyn Bridge. What to do: Try and explore as many NYC neighbourhoods as you can, as each offers something different. From November to December Rockefeller Centre is a must visit to see the famous Rockefeller Tree, go ice skating on the ice rink here or in Central Park. 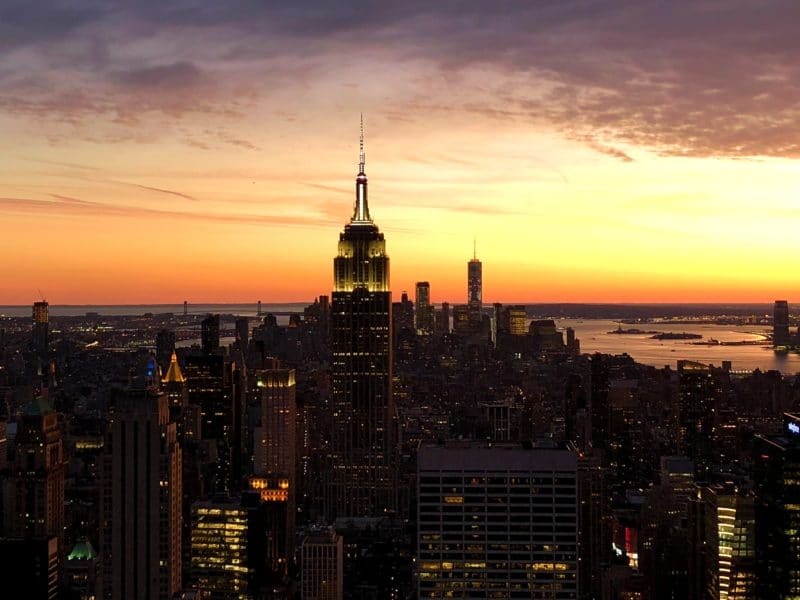 Go up to Top of the Rock at sunset for incredible views over the New York skyline too. 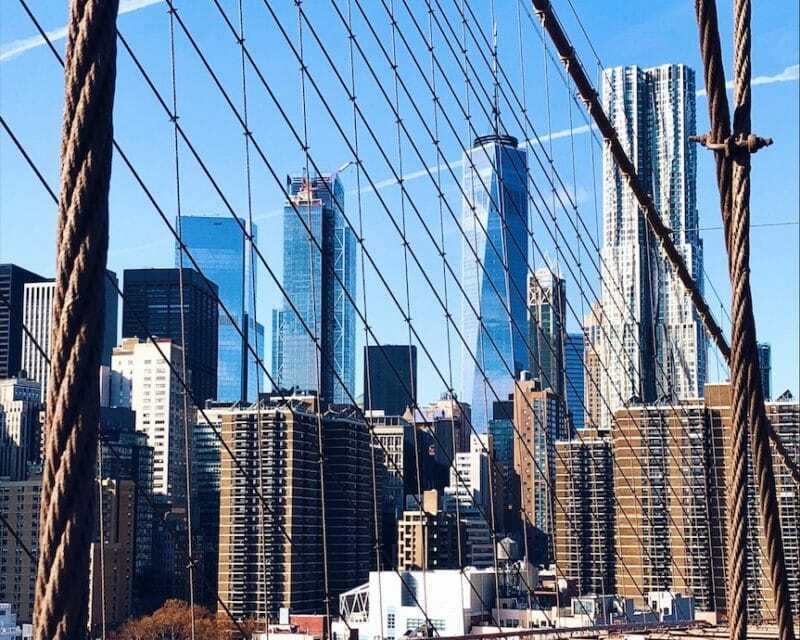 Movie fans can hunt out all the famous movie locations the city is known for, sports and music fans will have their pick of sporting and music events at Madison Square Garden. Finally, pay your respects at ground zero and the Freedom Tower. The 9/11 museum is emotional but going at least once. Where to eat and drink: They say there’s enough food establishments in NYC that it’s impossible to get through them all in a lifetime, so you’re going to have plenty of choice. NYC breakfasts and brunches are enormous, and the pancakes at Clinton St Bakery are the best in the world. Get a cupcake from the SATC made famous Magnolia Bakery, a hot dog from a vendor in Central Park, or a $12 slice of pizza from Joe’s Pizza. For steak go for Del Frisco’s, or the best fast food burger in its native home at Shake Shack. Cocktails in rooftop bars and beers in dive bars sound good to me too. 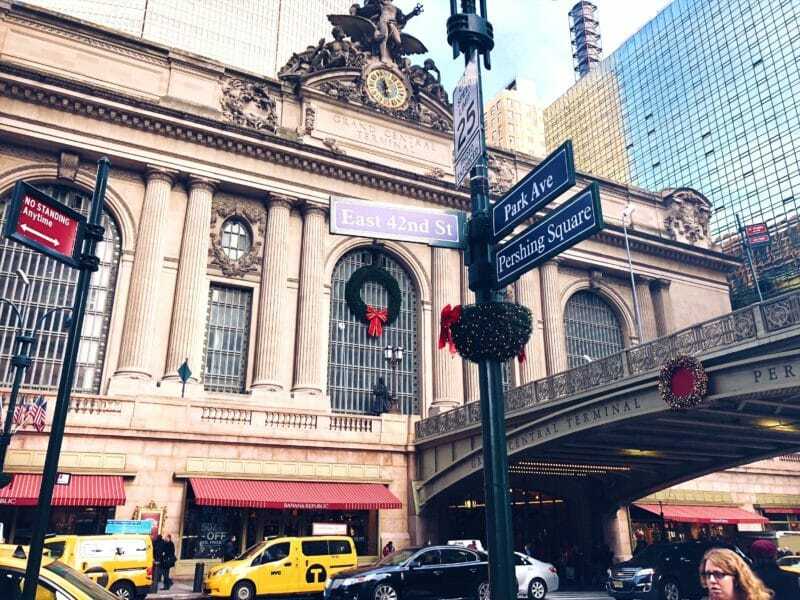 Read more on NYC including hotel reviews and NYC at Christmas. What to see: I’m including Philadelphia as I was very pleasantly surprised by it when we visit last November, as part of a joint trip with NYC. There was a lot more to see than I expected, including the two Liberty towers, the Christmas market and ice rink by the city hall, and of course the Rocky Steps and Rocky Statue. 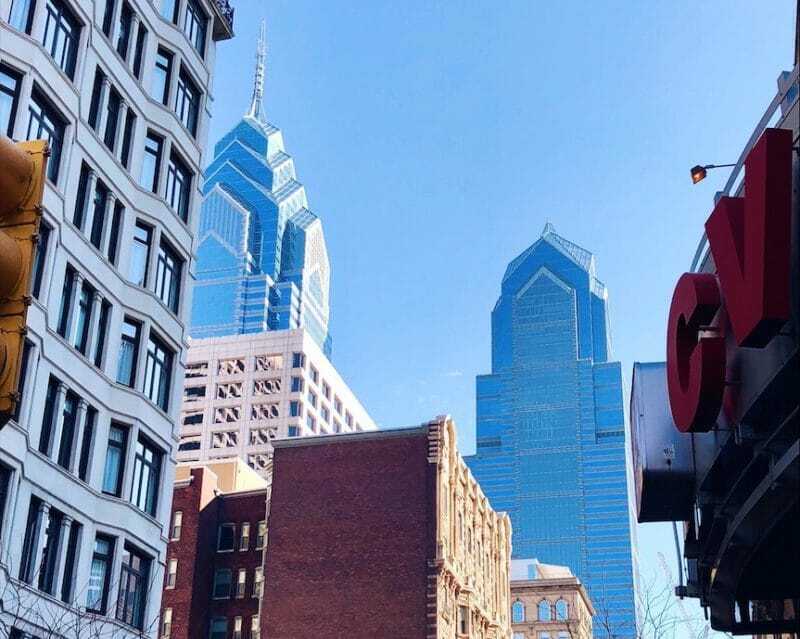 What to do: As well as running up the Rocky Steps, and shopping in the biggest Anthroplogie shop, pay a visit to Philadelphia old city for a lesson in American history. The old city was by far my favourite area, and it was historically one of the most important places in the history of independent USA. A tour of the area begins at the place of the cracked Liberty Bell, and will take you past some of the most important government buildings. Where to eat/drink: We joined in with Thanksgiving with a traditional dinner at Parc, on Rittenhouse Square, and we also returned here for a full American brunch a few days later, both were delicious. Marathon was a great breakfast spot, and Rose Tattoo cafe was my favourite restaurant because it was so beautiful inside. Of course you also need to grab a Philly cheese steak from one of the street vendors too. 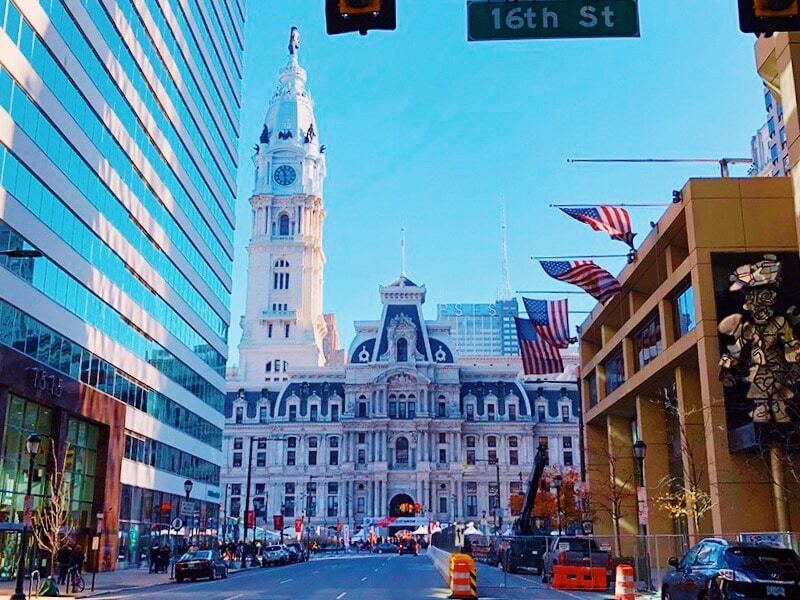 Read more on Philadelphia history and places to eat. What to see: I visit London quite a lot, but some of my favourite trips are during the winter months. 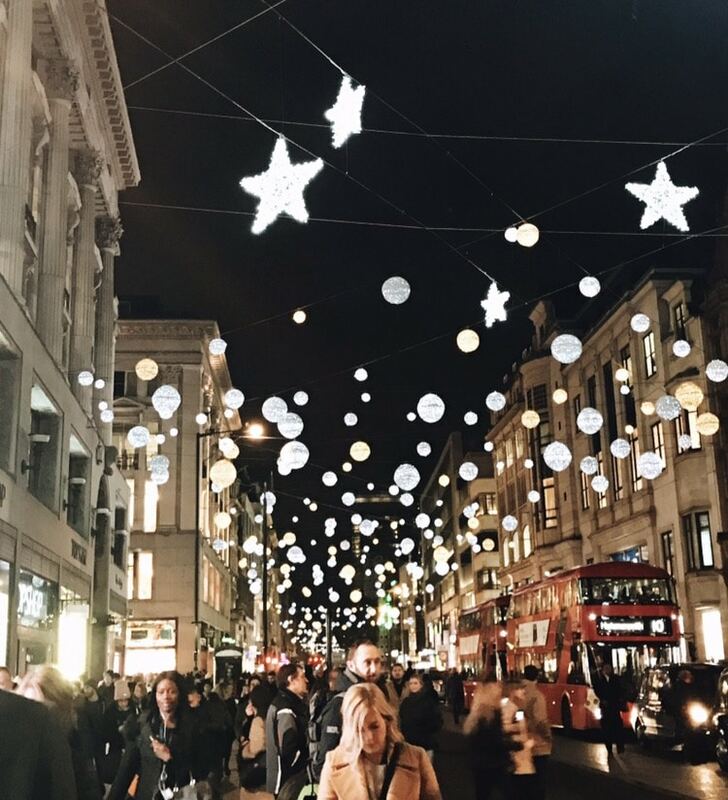 In November see the turning on of the Oxford Street Christmas lights, and the Christmas window displays of all the huge department stores like Harrods and Selfridges. In January last year we spent a touristy weekend walking among the famous sights, so many are doable in just 24 hours, and the London parks are just as beautiful in winter. What to do: All your Christmas shopping, from Bond and Regent Street, Oxford Street and Knightsbridge, to the boutiques of Carnaby and antiques of Portobello Road, there’s something for every taste. Visit Winter Wonderland, the huge winter market, and go ice skating outside of Somerset House. At New Year enjoy the fireworks on the banks of the Thames by the London Eye. Where to eat and drink: Again, so many options. Some of my favourites over the years have been Duck & Waffle at the Heron Tower next to the Gherkin. Up there you can also find Sushi Samba, and enjoy cocktails with a view of the city. 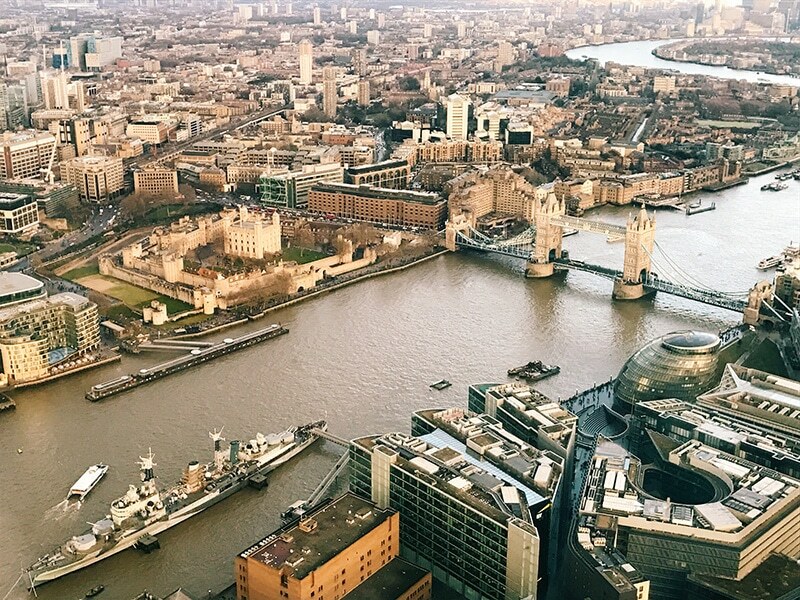 Another iconic spot for a drink is up the Shard, if your budget allows, and any of the bars and restaurants around Sloane Square. For cheaper and more mainstream options head to Covent Garden, for pink coffees and cupcakes there’s Peggy Porschen, and I recently enjoyed a bottomless brunch at Roka. Read more on London, including cafes, restaurants, different neighbourhoods and things to do. What to see: Forget the landmarks and tourist sights for a moment, the best winter views in Amsterdam come from the lit up arch bridges reflecting on the canals, especially the Prinsengracht. It’s totally beautiful. The streets of the Museum Quarter up by the Rijksmuseum are just as lovely to wander and enjoy, but in contrast to old school Amsterdam, the new A’DAM Tower has birds eye city views from it’s rooftop. Other tourist sights include Dam Square, Anne Frank’s House, the Rijksmuseum and of course the Red Light District. 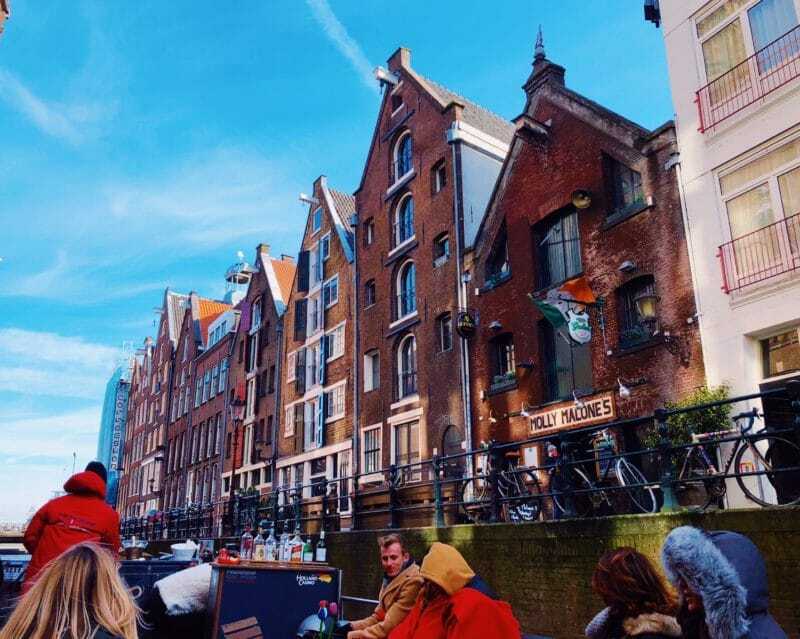 What to do: Take a canal tour, as if it’s your first time in Amsterdam it’s the best way to get your bearings, and if it isn’t your first time the canals never get old to sail along. If you’re very lucky and it’s cold enough, you might even get to ice skate on them if they freeze over. It’s not for the faint hearted but a walk through the Red Light District is worth doing, as it’s one of the most historical areas of the city. For a more elegant experience wander the Nine Streets, which are pretty little streets lined with boutique shops and cafes. Where to eat and drink: The Red Light District is full of fast food options, including the typical fries and mayo in a cone, but there are many fine dining options available too, including Hooftstad Brasserie at Hotel De L’Europe. I always enjoy Bar Moustache, for pizza and some gin cocktails, as well as Mama Kelly’s restaurant which is three floors of pink, serving chicken and lobster. Pancake places are everywhere, Pancake! being the most popular, and for novelty milkshakes, smoothie bowls, and brunch style food head to Ree7 and Pluk in the Nine Streets. For cocktails, go to the top of the W Hotel, for cocktails with a view. 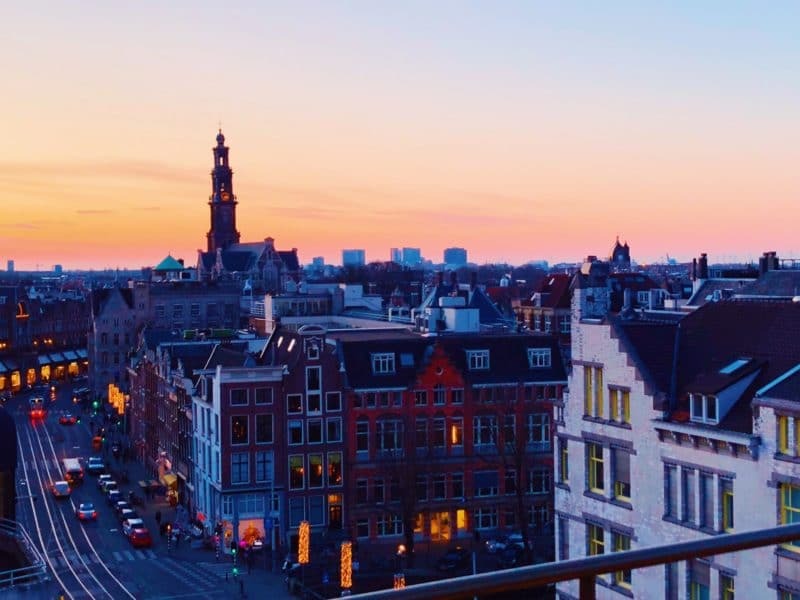 Read more on Amsterdam, including restaurant and hotel reviews, itineraries and tourist attractions. What to see: A mix of Victorian and medieval, the city center of Dublin is an attraction by itself. So, stop by Molly Malone Statue. It’s said that if you rub your hands on her breast you’ll have luck! (Worth trying, right?). Other must-sees? The colorful doors of Dublin. Their vibrant colors will pop up amongst those dull winter days. 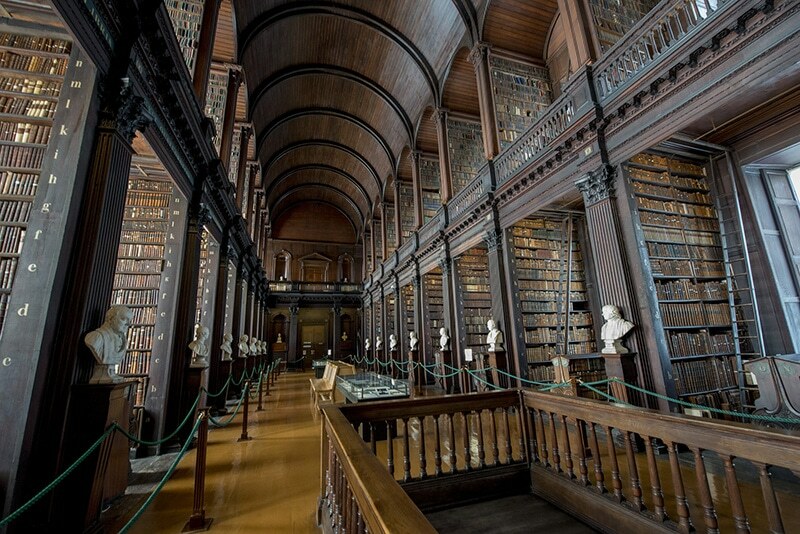 What to do: Don’t miss the Trinity Library and its picturesque old library. Also, pay Guinness Storehouse a visit to warm you up! Are you a whiskey person rather than a beer one? No problem, you can choose between a whiskey museum or a distillery. Where to eat/ drink: Looking for a real Irish breakfast or brunch? Head to the mouthwatering Beanhive then. Good size portions for foodies, however, the restaurant is quite small. So, arrive a little before the conventional peak hours. Where to see: You can walk up to the Citadella, which is normally not too busy in the winter. The hilltop offers some fantastic views to the capital. 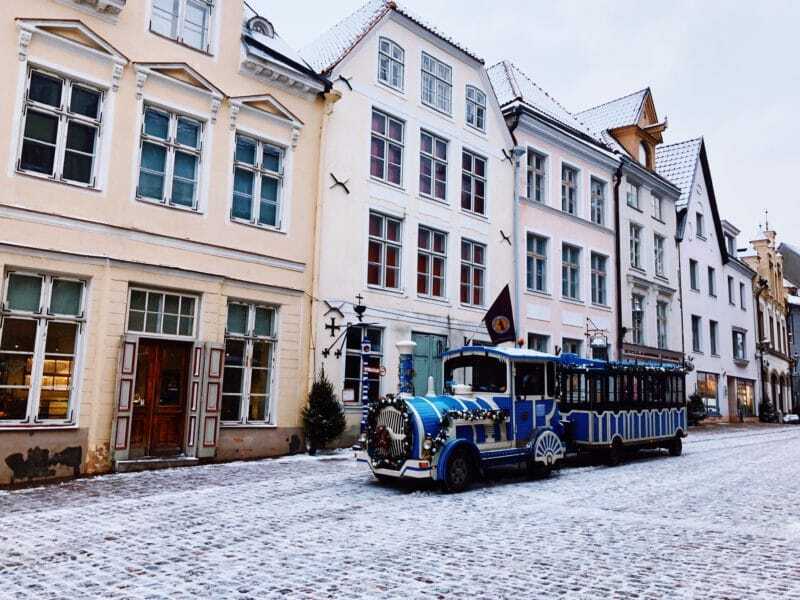 What to do: It is great fun to wander around the city during the winter period and explore Christmas markets. Vörösmarty Square has the biggest one in Budapest and there is lots to do there. You can buy beautiful handmade products for your loved ones, watch traditional Hungarian folklore dance on the stage or try delicious Hungarian delicatessen. If you want to warm up a bit I suggest going ice skating. The city has many pop up ice rinks, where you can rent skates as well. Where to eat/drink: Visit 360 Bar, which is a rooftop terrace with amazing views to the city. They set up heated see through igloos for the winter period so you won’t be chilly while you eat/drink overlooking Budapest. Christmas markets are also great to grab a bite. Try the famous Hungarian sausages, the deep fried bread seasoned with garlic and for dessert the tasty chimney cake. With Christmas markets, chocolate shops, and local Belgian beers aplenty, Bruges is the perfect destination to visit in the winter. On a nice day, the boat tours will still run even in the winter! If they’re closed though, they offer a replacement bus tour service. It’s a great way to see Bruges and learn some of the fun stories about the city. The best way to see the old town is by foot. Bruges is a stunning city with a village feel, and it’s so fun to explore all of the little streets and buildings. At sunset (which is pretty early in the winter! ), head up the bell tower for a stunning view over the main square and the Christmas markets. In terms of food, the Christmas markets are where its at! Stop by the stalls for delicious treats and local crafts. Then, warm up in a restaurant with moules and frites before moving on to one of the many Belgian beer bars in Bruges. 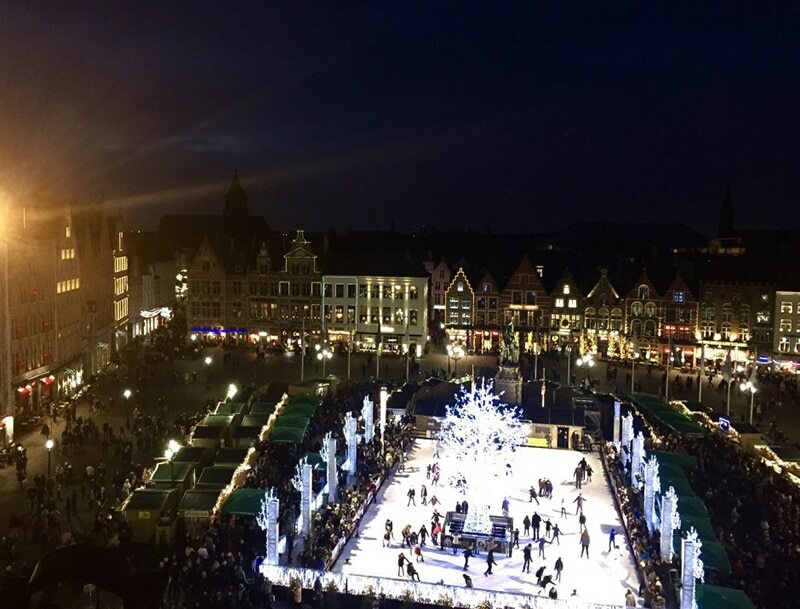 The city is small enough that you can walk from place to place without getting too cold, and the Christmas markets add an atmosphere that makes Bruges beyond wonderful in the winter. And, although the Christmas markets do draw a crowd, it’s still quieter than visiting in the summer. So, there’s really no reason not to visit Bruges in the winter! 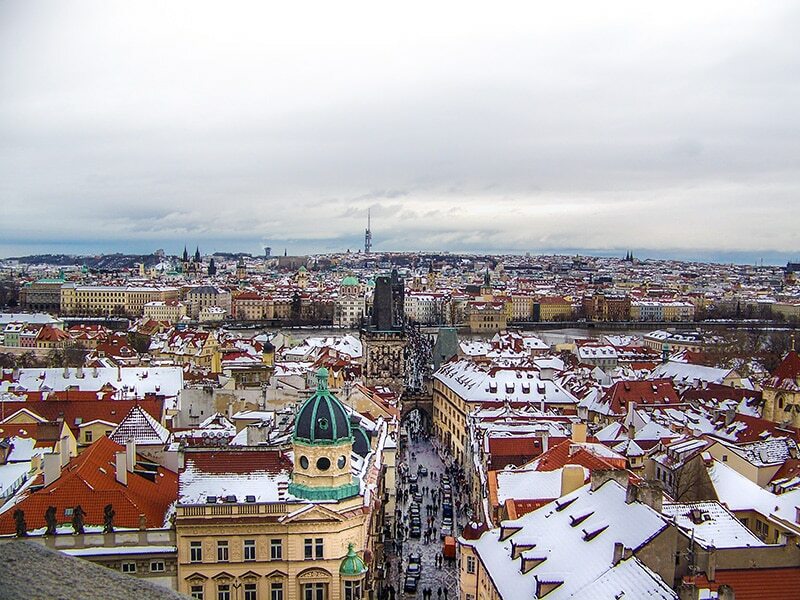 What to see: In Prague, the most iconic place is Charles Bridge. In the winter cold it is not that overcrowded, so you’ll be able to walk around and admire all its statues. What to do: Visit Saint Vitus Cathedral for an impressive example of how different architectural styles can be combined into a masterpiece. Also climb the tower for incredible views to the city. 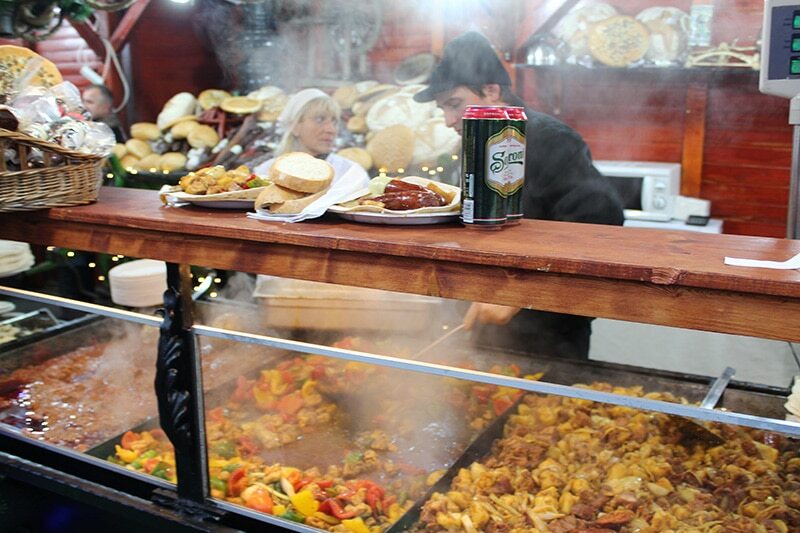 Where to eat/drink: While you are out exploring Prague, try some local sausages in Wenceslas Square. It’s the most authentic food street option and will give you the energy you need. Have a spicy mulled wine to warm after freezing Vltava’s winds, you’ll feel much better! Hopefully reading through this list has given you some inspiration for a winter city break, the challenge will be choosing where to go from all the incredible places on offer. All content and photography was created by myself unless otherwise stated by my lovely guest bloggers. A great list! I’d love to do New York in winter.